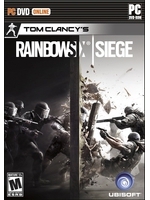 Ubisoft has announced that Tom Clancy's Rainbow Six: Siege has gone gold and will release on December 1st as planned. 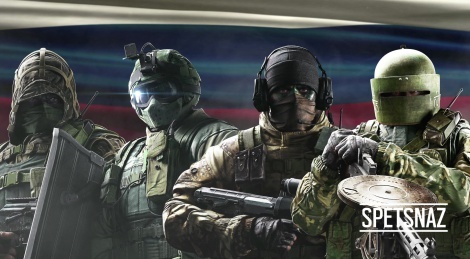 The publisher released the fifth and final gameplay trailer from the Inside Rainbow series which introduces the Russian Spetsnaz counter-terrorism unit. i ll pass this game.. cause there ll be no single player.. First...I couldn't wait for this. But the gameplay just isn't my cup of tea. I want something like Rogue Spear or Raven Shield. No buy for me without singler player or alt least amy kind of campaign ... and full prize ... lol seriously Ubi Soft ? What a shame. The initial announcement footage had me so excited too. I hope they don't screw up Ghost Recon next. I would have liked to have had a single player portion, but I'm not so sure how they would have pulled that off. They've got teams from multiple nations with each teammate having unique abilities. I think single player would have been a mess. I'll buy for the multiplayer, but I wish it was cheaper since it's MP only. BUT... micro transactions ????? ok, let's look for next game..
What are the microtransactions? Are they cosmetic? I thought they said that maps were free. That's a pretty big compromise if that's the case. I'm not sure why every game needs to have single player either, but I evaluate value based on quality and time.. so good multiplayer games come out ahead in that conversation. I'm more worried about GR.. that game looks cool.